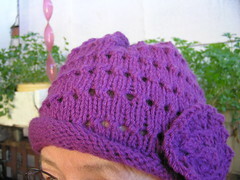 Here's the first hat I made Miss M from the organic cotton kit which was given as a gift by Vivian at Ecoyarns. The pattern had tendrils at the top but I omitted these as I didn't want Miss Kitty taking a swipe and scratching granddaughter's bare scalp. It's very soft and she likes it. 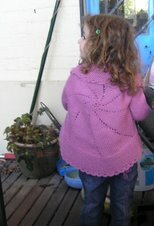 I was well on the way down a second, as related in instalment below this, when I accidentally twisted needles. I pulled it all out, although probably did not need to go that far. I've just picked up the reworking of it, I haven't done any of it this week at all. It's the pink cotton in the second picture. 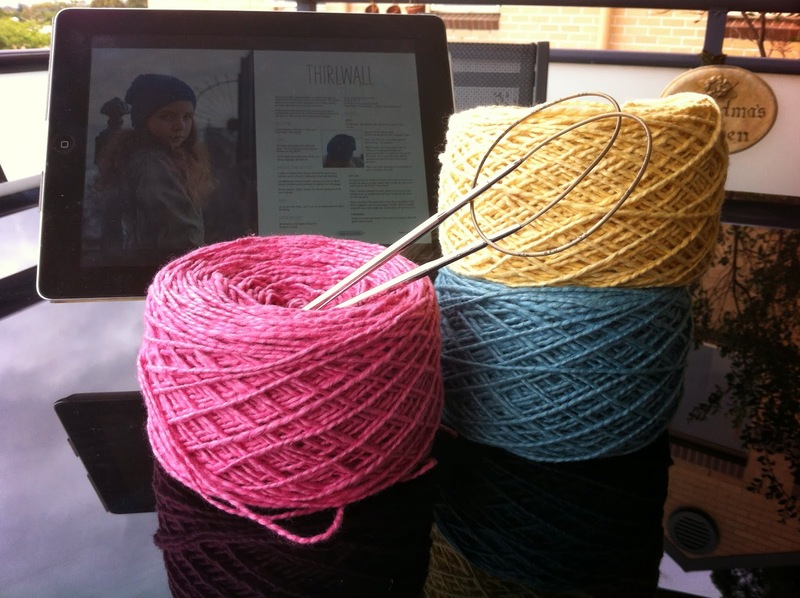 However, today was mild and sunny and I sat on balcony in the breeze for my lunch and did some knitting afterwards. It felt good to get back into it. This week has been incredibly stressful and my body reacted yesterday with a full blown migraine, the first in a very long time. Despite two lengthy daytime naps yesterday I slept almost eight hours straight last night and woke feeling much better. I mentioned how happy we all were that she was at home at last after hospital. However, just on a week ago she started the second round of chemotherapy with different chemicals. A side effect was a possible high temperature. Last Friday evening her temperature began to rise. It rose...and rose and her mum took her around the the oncology ward as per instructions. It continued to rise for the weekend, going as far as 41°C which is 105°F on the old scale. Far, far too high and it stayed there far too long. Not only did it rise so far and she was really very ill with it, she stopped eating and drinking and just lay there. Very scary. She developed a strong arrhythmia of the heart and it did not want to respond to treatment. We were very worried for quite a while. Tests were done and results showing no infection took several days to arrive. It must have been the chemo. Then there was the back story of a family member being totally pigheaded and selfish and just plain stupid and wrong on an issue which then affected Miss M's siblings and other close family. Son is not at my place for a few more days while he deals with the resulting mess. I enjoy living by myself but it has been good for him to have been here. Not a pleasant reason for it, but I have enjoyed his company. She went home yesterday eventually but was back today for another anaesthetic and the tests which they do while she is out to it. Fortunately, that all went well and she has returned home yet again. I really hope she stays there. Her sister who is two years older really misses her as they are close and get on well together. So I've posted the blue sky and clouds which I looked at lunch. Very restful just watching them for a while as I knitted around and around on the second hat. Good meditation. I hope your migraine is all gone. It sounds like there is a lot to be stressed about. I am glad your patient is being looked after so well in hospital and has a lovely new hat to wear. It is often the case that the cure is worse than the condition, or so it seems. Stay well and serene. Still praying for you all and all the crazy mess your family is going through.